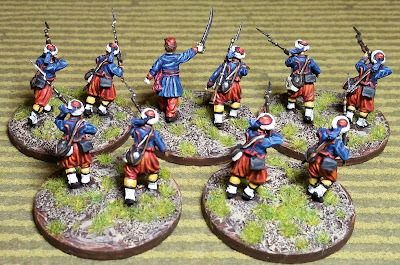 Here's a small unit of Zouaves which are intended to be French 2nd Empire. 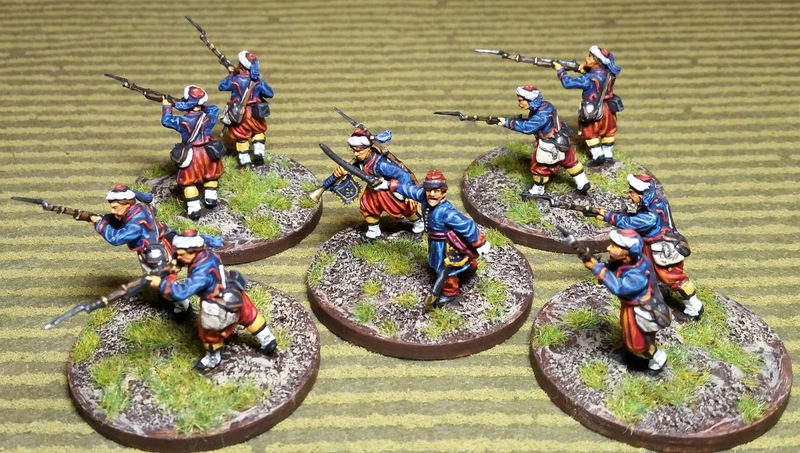 They are, of course, from the Perry plastic ACW kit, but the uniforms are pretty much identical. 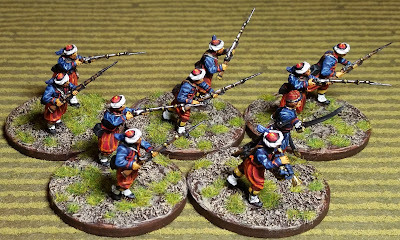 The bugler's arm, as well as the firing pose arms, are from Perry Napoleonic plastic kit spares. The little flag on the bugle was made out of Green Stuff. They're based in pairs on Litko 50mm round plywood bases. 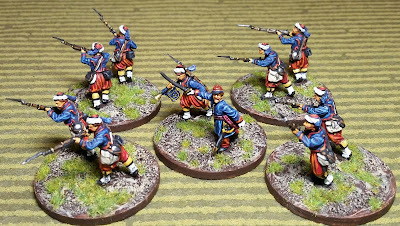 As I don't plan to paint up a large number of figures for this period, they'll likely only be used in skirmish games - someday. This set comes with 40 figures, so they're a lot more to paint up. 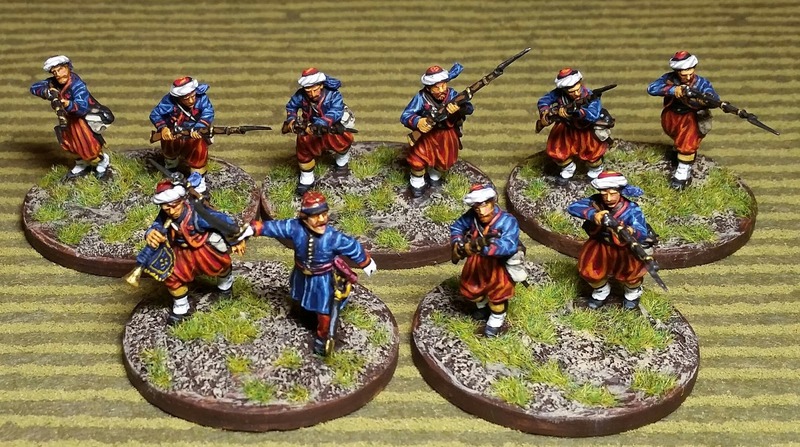 I plan to paint some up as 2nd Empire Tirailleurs, and maybe some as Louisiana Tiger Zouaves. The latter, mainly because I like their striped pants. These were a nice diversion from the recent Napoleonics - although not very distant in time frame from them. Thanks again for swinging by the ol' blog, and best wishes to you all in your hobby and painting endeavors! Very nice they look to. Great job Dean! Fantastic colors and great job! Those are quiet beautiful Dean! 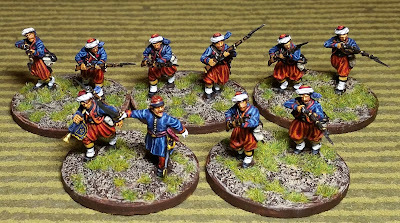 Lovely looking zouaves! 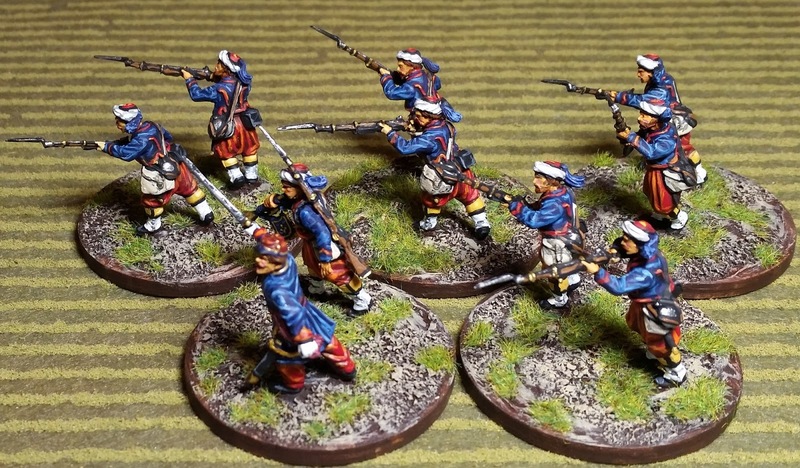 Are you going to do some Austrians or Prussians to fight against? Great work as ever Dean. 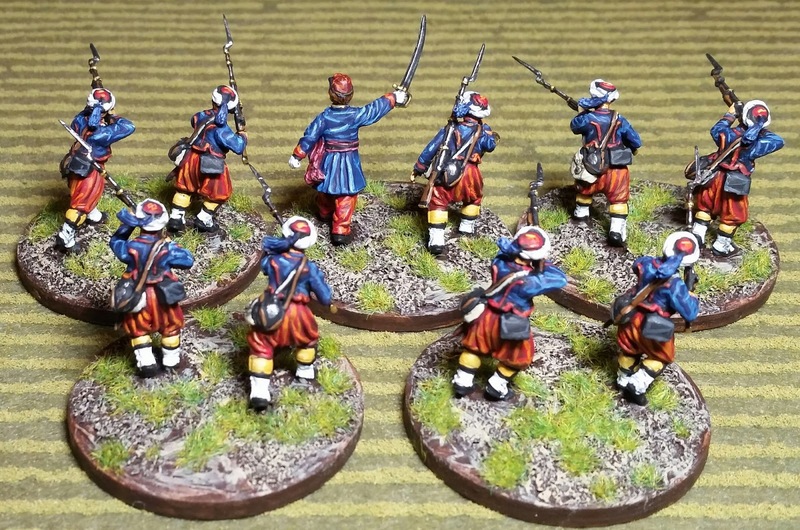 I was planning to pick up a pick up a box of those Zouaves for myself. Wonderful brushwork. Nicely done sir! 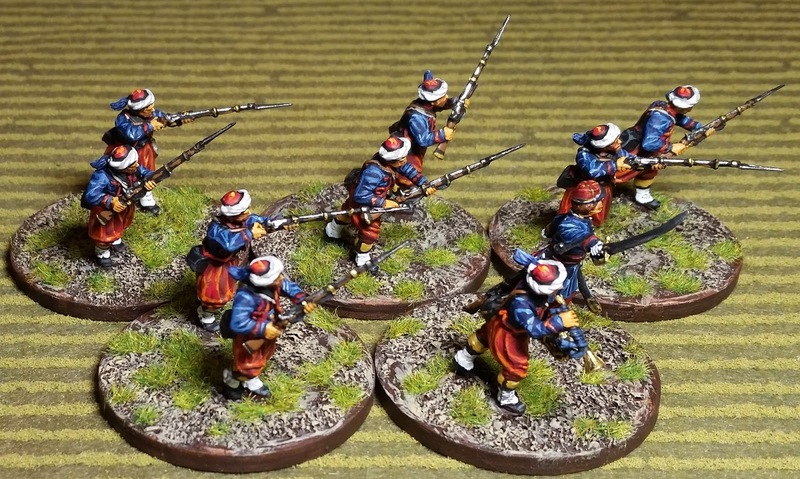 Black Powder 2nd Ed. First Game - Fun!